The arcade hit comes home! That was close. Sega’s modern arcade classic comes home with speedy fun in a selection of new play styles. 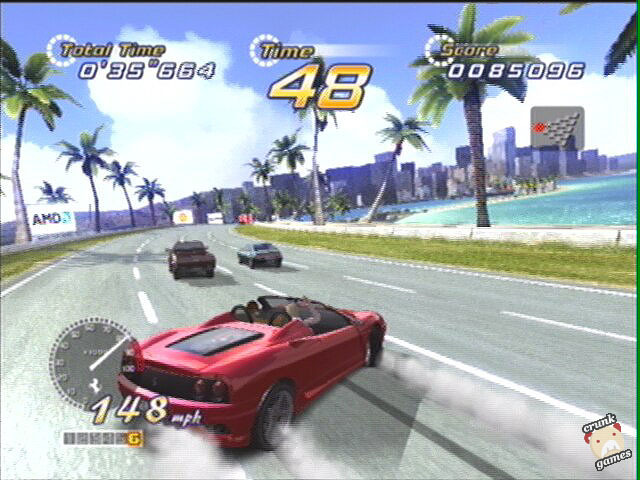 It was a good thing that Sega made OutRun 2. After a couple of missteps in the racing genre, another flashy, hyperactive arcade racer is exactly what we needed. Of course Sega also produced F-Zero GX, which definitely qualifies, but sometimes four wheels are better than none. That’s why it’s good that OutRun 2 is here to remind us that Sega hasn’t forgotten its roots, even for the duration of just one game. It’s an even better thing that OutRun 2 made its way to Xbox, despite an unsure future on consoles and despite the fact that it ran on the like-minded Chihiro arcade hardware. Sega hired UK developer Sumo Digital to port the game, but they did much more than that, fleshing it out beyond its arcade shell and churning out not just a great arcade racer, but a great console arcade racer. On the other hand, calling the game a “racing game” isn’t that fair. OutRun has always been more of a “driving” game, with the only race being against the clock, and your only opponents in the form of traffic. This hasn’t changed a bit in OR2. There are more standard races against opponents this time, but for some reason you’re still having to pass checkpoints in order to beat the clock. And whether an arcade driving game or not, it’s still not all straightforward. 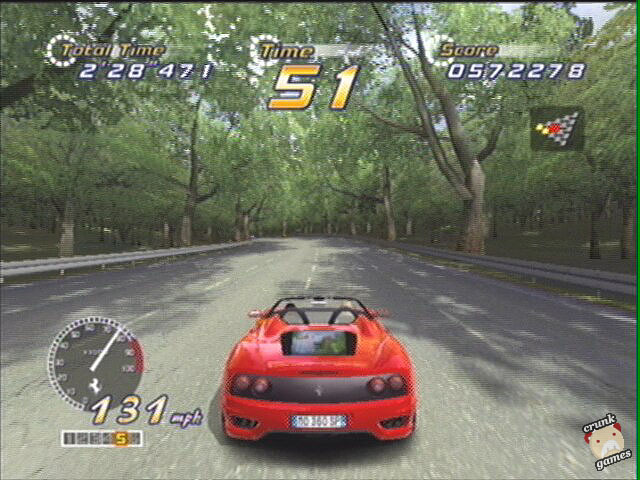 Games like Burnout 3 have realism yet are outlandish, but OutRun 2 doesn’t really consist of either. It has the essence of a Sega racer, but not the makeup of one. 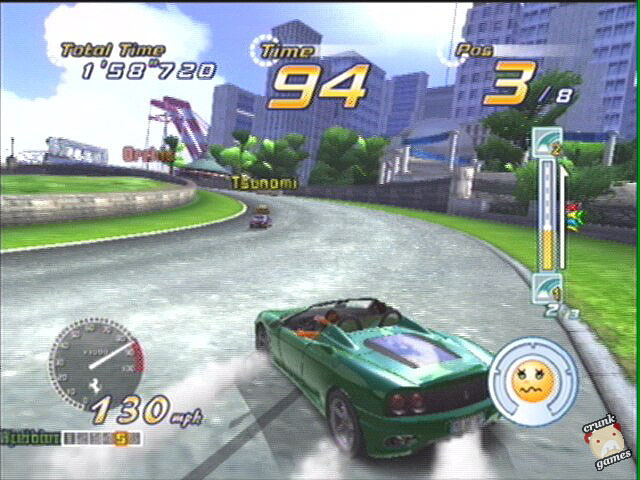 You can see it in the fairly flat, long tracks (fine for a 16-bit game but not here) and in-dash cockpit view that stays rock steady no matter how wild you’re driving. 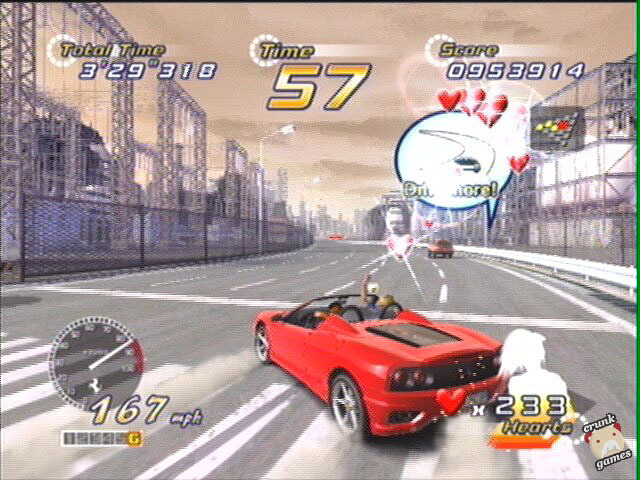 OR2 on Xbox brings over the arcade game’s two main modes, OutRun and Heart Attack, as well as a suite of “OutRun Challenge” stages that are more or less expanded Heart Attack stages. 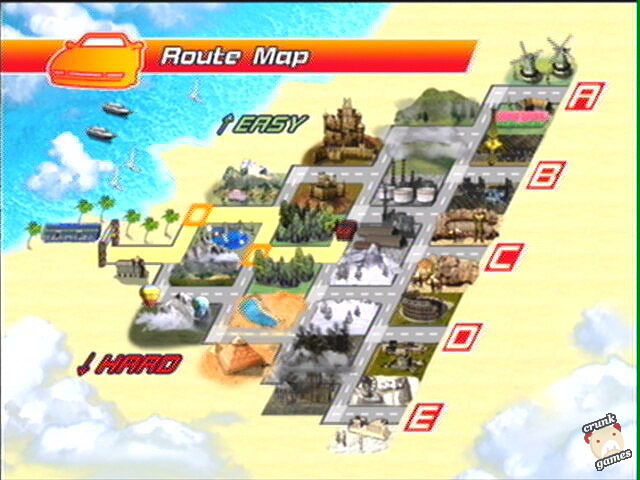 Complete these and along the way you’ll earn useless OutRun cards, but also a variety of unlockables from tracks to cars to music, including two bonus tracks from Super GT and Daytona USA 2, which link each course from those games into one large OutRun stage. These are twisty and flashy, not at all fitting in the OutRun universe, but that’s what makes them fun. Xbox Live play is also available in OutRun 2, which is more surprising than the port itself, but it turns out to be a negligible addition. The only competitions available are a standard race and a time trial scoreboard. While racing against 7 other people sounds intense (it is), with the sometimes insignificant change in the cars’ stats most of the races turn out one way or the other — those with a keen sense of how to drift may perform better than the others, though. WIthin a year we don’t expect much direct competition going on other than in the time trials, which is a shame, but only for those who wrought it. "Normal" races, score attacks, and huge crash orgies.